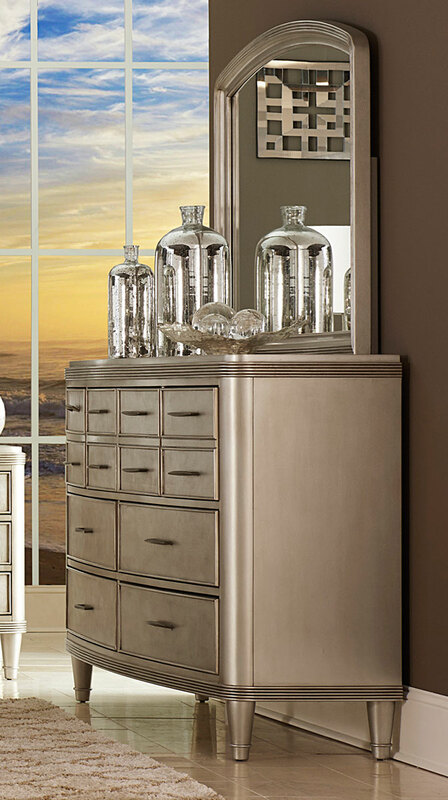 The art deco glamour of the Tandie Collection is defined by subtle elements combing to create a sophisticated option for your elegant bedroom. 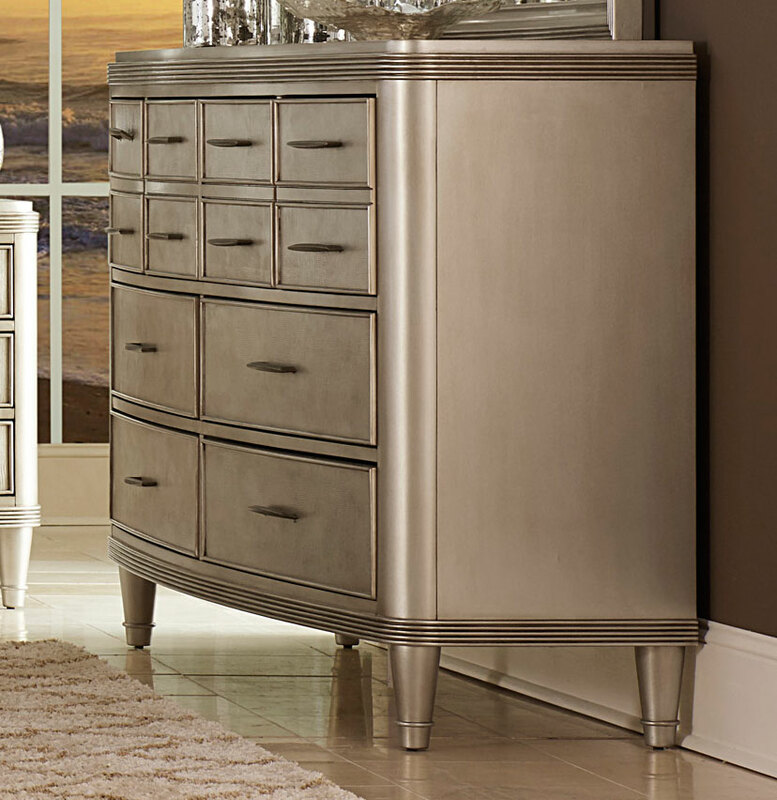 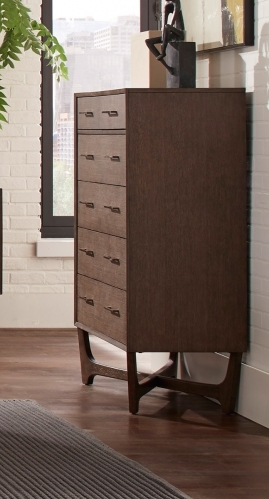 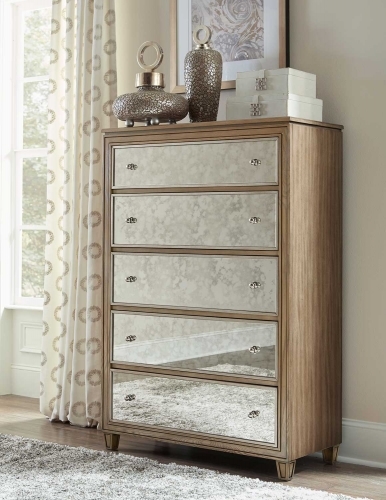 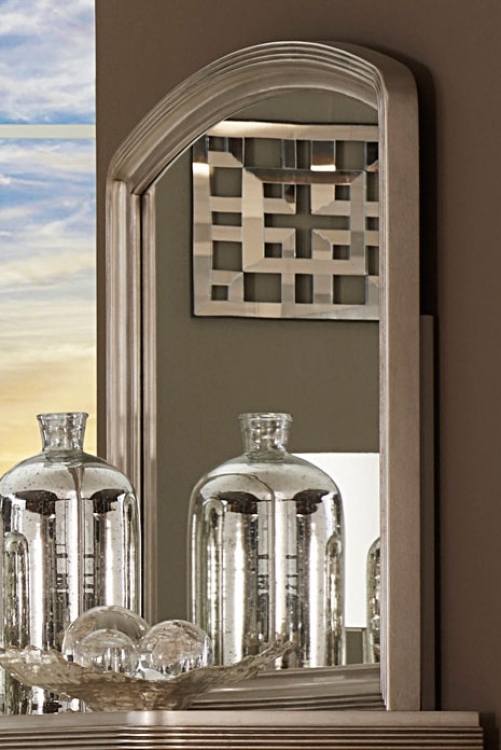 At first glance your eye catches the delicate highlights of the champagne finish, the highs and lows playing effortlessly off the tight grain of the lizard patttern shagreen fronts, while platinum metallic finished hardware lends subtle contrast to the elegantly framed drawers. 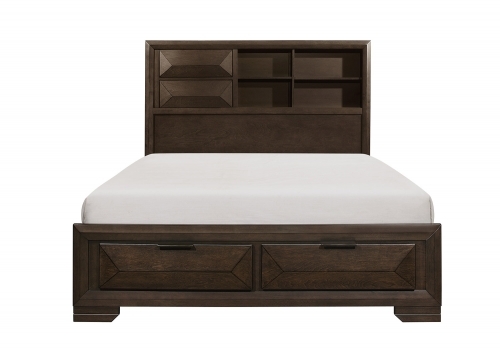 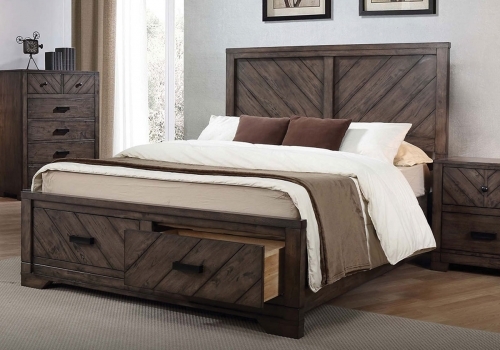 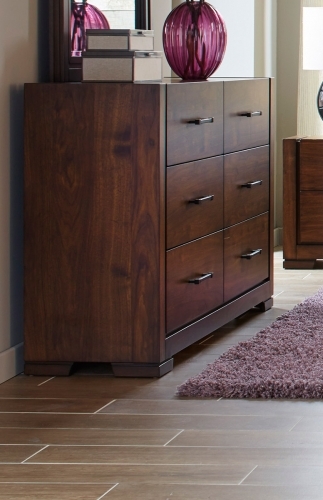 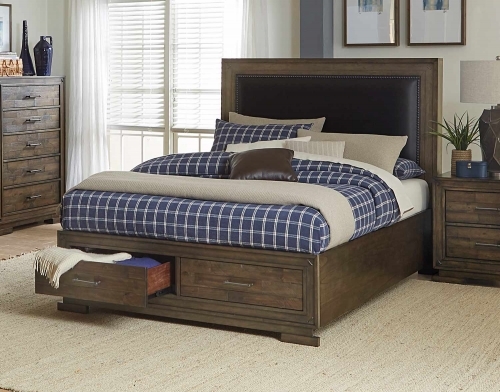 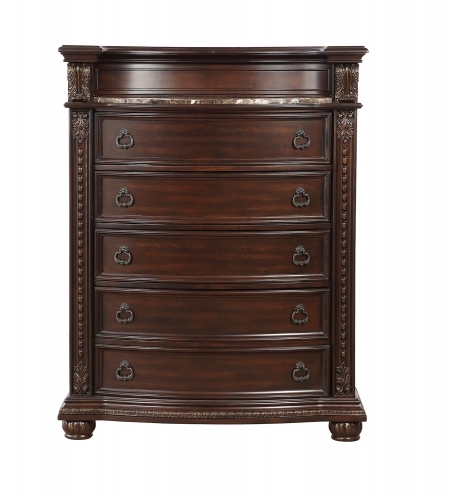 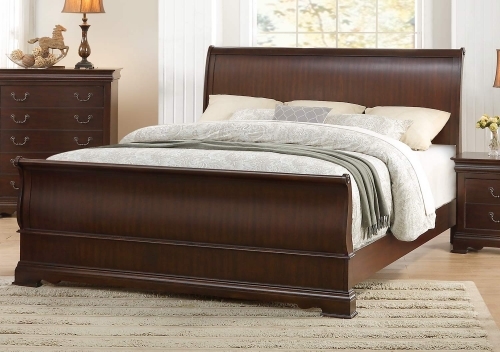 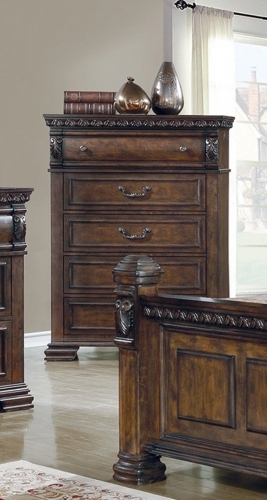 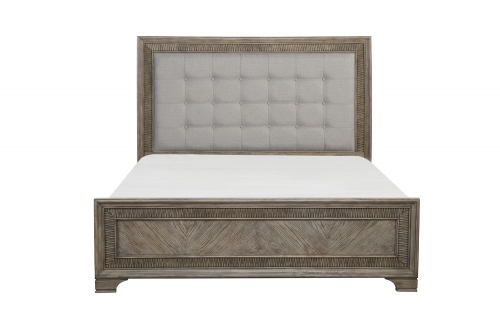 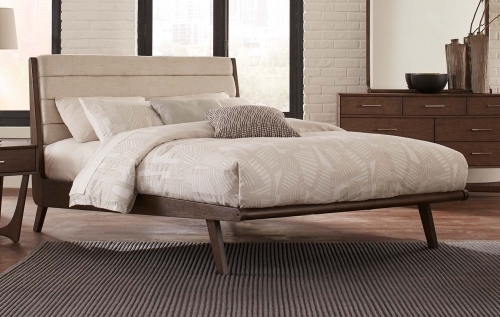 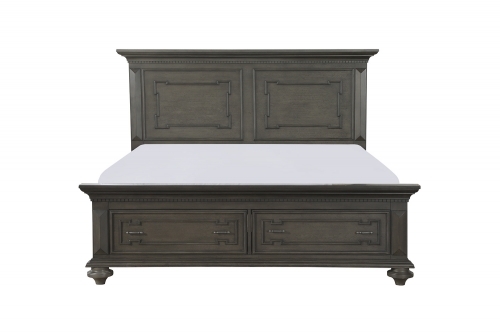 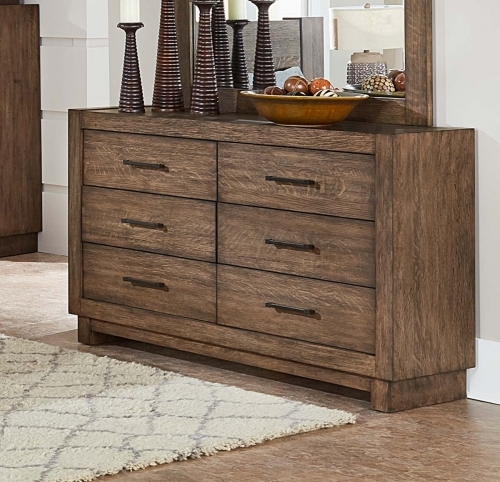 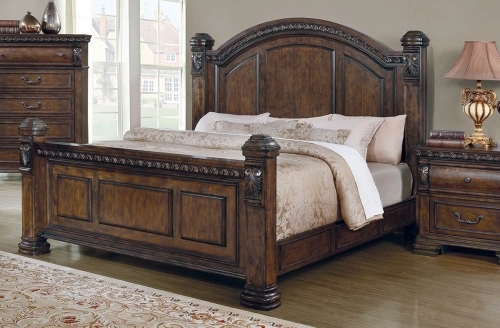 The functional drawer footboard provides additional space within your bedroom for much needed storage. 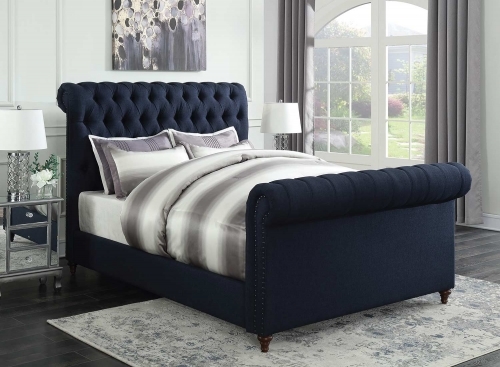 The button tufted headboard is covered in pearl toned faux silk vinyl to provide additional glamour to this stylish bedroom collection.